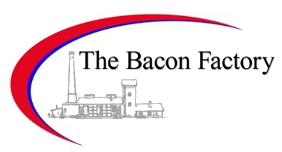 The Bacon Factory enjoy raising money and awareness for local and national causes. Check out our recent events. In 2012 we set out to raise money for a nominated charity for the first time. Cancer Research UK was selected as the worthy cause and Director Matt Hardman volunteered to run his first sponsored half marathon. In September that year he ran The Bupa Great North Run, www.greatrun.org/north in a time just under two and half hours clocking up over 13 miles and raising over a thousand pounds. "The support of our customers and suppliers was overwhelming," said Matt "It made all the training and long hours pounding the streets worthwhile." So successful was the event that we decided to make it an annual fundraiser, each year selecting a new charity to support. 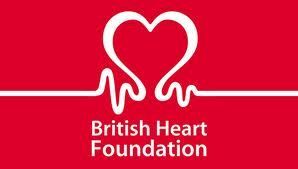 In 2013 Matt ran the half marathon again, this time in a much faster time of 2 hours 16 minutes and raised over a thousand pounds for our nominated charity, The British Heart Foundation. Last year The Bacon Factory has decided to support a cause in its local community of Bury. Walshaw Sports Club is a charitable organisation ran by volunteers, providing opportunities for local children to take part in games such as Football and Cricket. We decided that to help establish three new Under 7's football teams we'd buy the club new football strips and donated around 600. The cost of running these teams is high, both in monetary terms and in the time of the managers and coaches committed to helping the children develop. Training facilities, equipment such as goalposts and footballs are not cheap and the costs are ongoing as long as the teams keep running. To give these new sides the best start and hopefully provide funding for the next few years we picked them as our nominated charity for 2014. Over the last three years we have now raised over £3000 for worthy causes. Help us to help give youngsters the chance to play active sports in their community by making a pledge today by emailing matt@baconfactory.co.uk or by sending us a cheque made payable to WALSHAW SPORTS CLUB, to The Bacon Factory Ltd, 1 Heys St, Bury BL8 2AJ. No pledge or donation is too small and every penny will help give these youngsters a happy, healthy pastime. Thanks for taking the time to read this page and together we can make a difference. For more information on this or the products available from The Bacon Factory, contact us today.